Welcome to my Doctor Who Dreamset page. I’ve always thought Doctor Who would make a great theme for Lego to officially do, so I decided to come up with some “prototypes” of what could be done with a Doctor Who theme. All of these models were created using lDraw. Since Lego is always coming up with new parts I decided I would do so as well, and create my own parts. My version of the Tardis playset features several new pieces that would be used to build ones own Tardis. 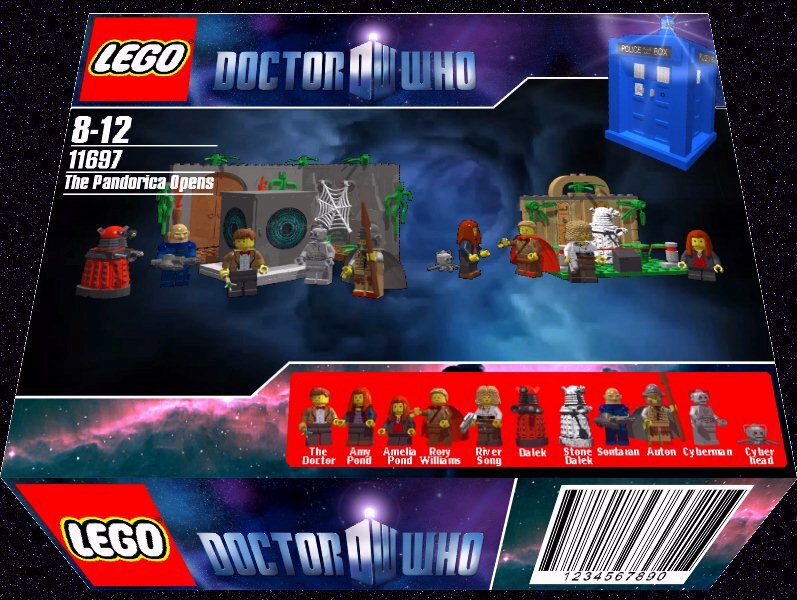 The set would come with the Eleventh Doctor. The Pandorica Opens Playset would come with several figures and two seperate models. One of the models would be the Underhenge chamber complete with The Pandorica. The other model would be a section of the museum featuring a Stone Dalek. The set would come with the Eleventh Doctor , young Amelia Pond, Amy Pond, Auton Rory, River Song, a Roman Auton, A Cyberman, the Cyberhead, a Sontaran, a Stone Dalek, and a Dalek. My Victory of the Daleks playset would be similar in size to the “Troop Building” Star Wars sets that have been released over the last few years. The set would come with the Eleventh Doctor, Winston Churchill, two Ironside Daleks, and the War-room planning table. Based on one of my favorite serials of all time, the Tomb of the Cybermen Playset would feature the Second Doctor, Jamie, Victoria, Kaftan, Klieg, Toberman, Cyberleader, five Cyberman, and three Cybermats. The set would consist of two sections, the tomb and the recharging machine.